As most people identify as a napkin, it can also be turned into a mini carry cloth for your lunch or to roll up a sandwich to go. 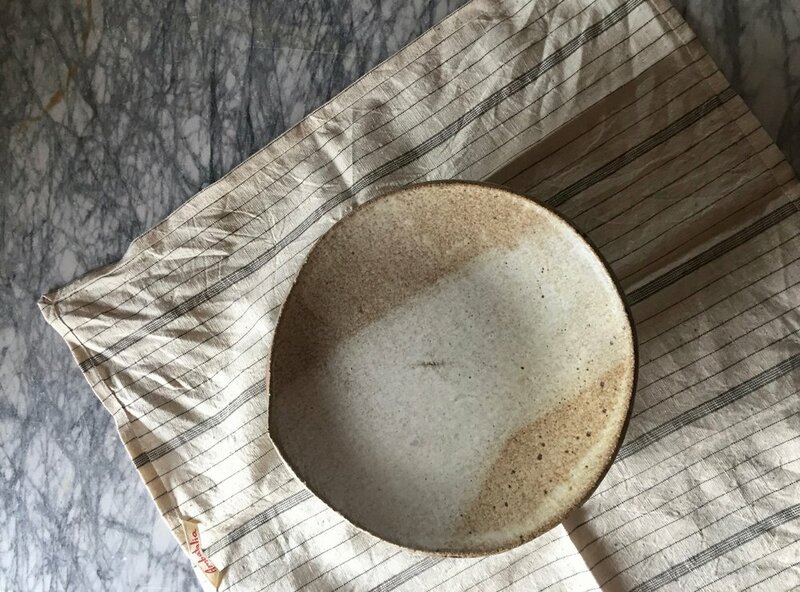 Not only are cloth napkins a great simple step towards living a more non-disposable life but its just one of those simple past times that embodies gratitude for the simple things in life. Our kitchen towel is a simple large square cloth most people identify as a kitchen towel, but this cloth can be used for a multitude of purposes. This idea is the foundation of Ambatalia. It's a wonderful way to change the way we think and take action to use less wasteful packaging and plastic. Use our kitchen towel to carry a casserole to a party or wrap a loaf of baked bread for a neighbor, or use in your own kitchen as an apron. Our hope is that this simple idea brings inspiration to move towards using less single use plastic in your day to day. We think of this scarf as an all around household, out and about scarf, table cloth, impromptu picnic cloth or a clothes shopping bag. Made with a lighter weight fabric for all of these purposes in mind. If you are wearing furoshiki, its a lot easier to say " I don't need a bag, thank you!" 100 years ago, making your bed didn't involve using a fitted sheet. You would use a flat sheet and fold what they called Hospital corners to fit the sheet to your mattress. Same concept, but by tying a knot in the corner which creates a pleat and folding it under the mattress, the pleat holds the corner snug and sheet tight, the weight of the mattress sits on that knot and holds it in place.